1) CS55 – The Plantronics CS55 is our best priced wireless headset to date. Customers love this headset with its 2 wearing styles. If you are not sure what style you would like (over the head or over the ear) the CS55 is the unit to start with. 2) CS70N – The Plantronics CS70N is light enough to be worn comfortably all day long. With its precise microphone placement it should never be a problem for someone hear you. 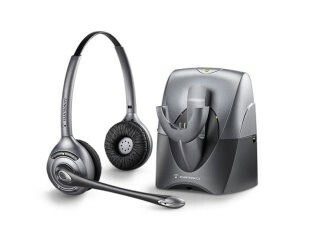 3) CS351N – The Plantronics CS351N is a great headset with up to 10 hrs of talk time. 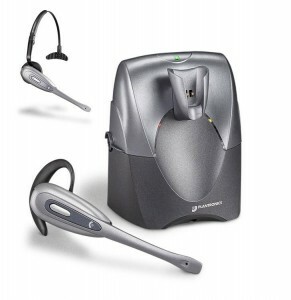 4) WO300 – The Plantronics WO300 works with your computer & office phone. The WO300 allows you to conference calls between your computer and office phone. 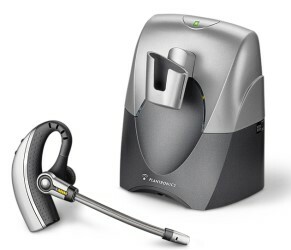 5) WO100 – The Plantronics WO100 works with your computer as well as your office phone. Very light weight headset with choice of two wearing styles.